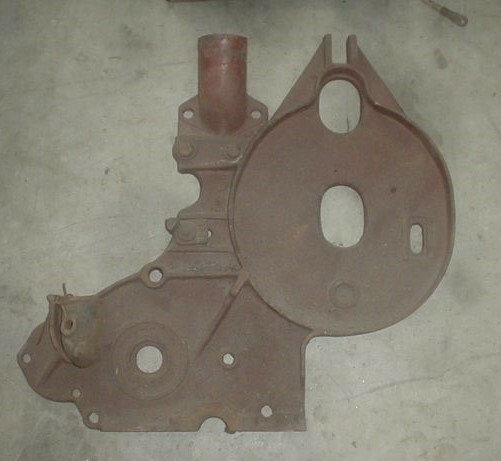 Model T Ford Forum: Accessory front plate - What is it ? Accessory front plate - What is it ? Model T Ford Forum: Forum 2018: Accessory front plate - What is it ? I recently acquired this aftermarket front timing cover and wonder what it is for ? 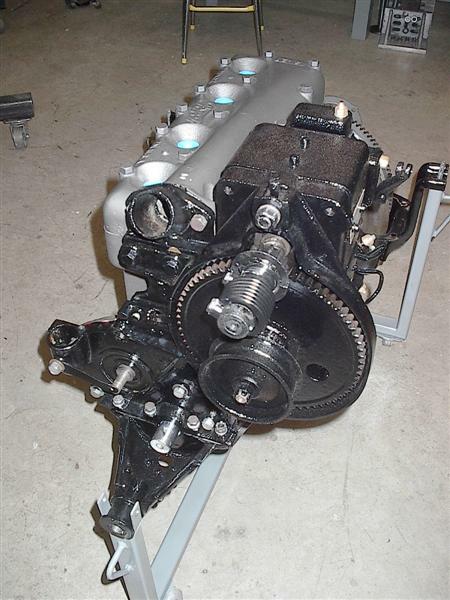 It is much bigger and heavier than the Ford Generator bracket used on the RHD cars until they rearranged the steering bracket. Note that the water outlet fitting is height adjustable and the oil filler neck is cast in 2 pieces -presumed in order to ease casting ? It looks like the front plate used to mount a Heinze-Springfield bolt on starter / generator. It doesn't make sense to me for it to be a bolt-on starter/generator unit, because the casting is clearly for a generator era engine block. The link posted by Ed B and Tom P is an excellent one about the units sold for earlier engines. I can't recall what it was for, but there was some similar unit for some special purpose T engine where the generator location was not accessible. But I can't remember what it was? Anybody else? There were magneto units that left the factory generator in place to do its task. But they generally did not require such a large face casting. The right hand drive cars out of Canada had a different starter and generator unit for the first year (1919) while they worked out issues of the Ford standard generator being in the way of the right hand drive controls. Again, I would have doubts about that because I would expect them to have used the then common block-off covers that resembled the earlier non-generator block, not the full front cover for the standard generator mount. But I am not an expert on the Canadian Ts. I do hope someone can give a definitive answer. That is a later model Heinze-Springfield starter/dynamo mounting plate. Yes it was used on the later engines BECAUSE Ford did sell cars without the starter or generator for those who did not want to spend the money for those "accessories" they did not feel they needed. The generator block was still used on these cars. However after a change of heart or ownership the Heinze-Springfield unit could be added and you now had a "modern" car. It is a great piece to have as a start, now search for the balance. They are great units. Not only the casting was simplified by the separate oil filler section , - the sand casting box height was reduced , and the parting plane would have been even ; more importantly the machining of the front face would not have been obstructed . The height of the oil filler area minus the spout is the same as the rest of the surround of the flywheel / ring gear area . My early unit was missing the spout but I have managed to part one from a 1915 timing cover . Assembly of the unit requires a threaded stud so the whole body is fixed with a nut run down for extra support before the spout is installed with a gasket . Tightening just one through bolt onto the spout could crack it . The only other Heinze I know of in Australia was with the late Neil Furlong on the Gold Coast , 50 miles from me . I know not its' whereabouts now . I have a H-S dash switch with key,less amp gauge for a '15 if anyone wants or needs one.